I hold a guided tour with lynx for Biotopia. Here I show tracks before we head out into the snow. Full of exciting things, 2018 has now come to a close two weeks ago. Many years ago I started a tradition of looking back upon my past year as the next year was about to start. Here, I continue that tradition and also take a chance of reflecting a bit on biodiversity and conservation. 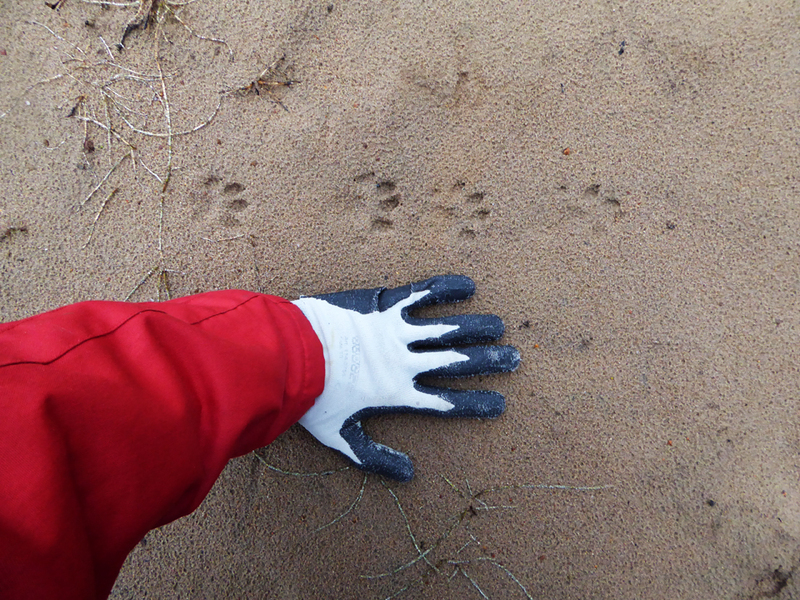 The usual mix of work, I started the year by censusing large carnivores in Uppsala county for the county board. 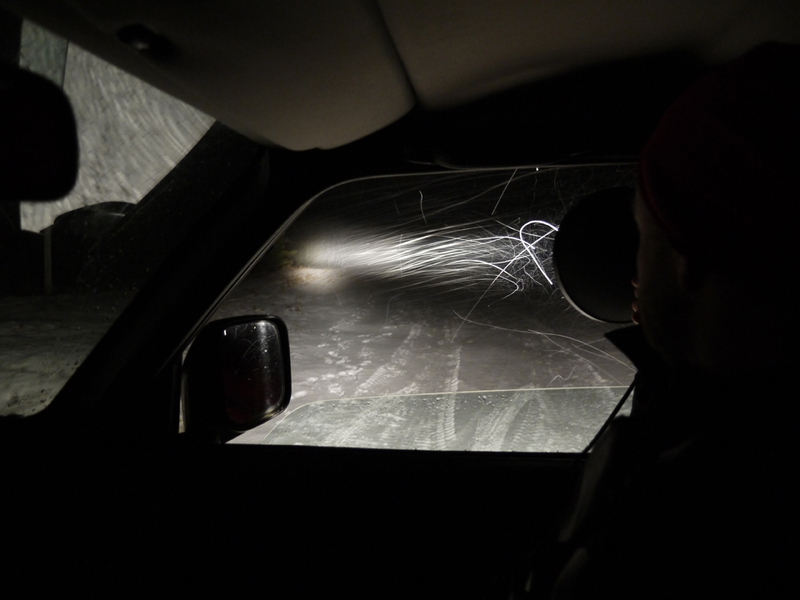 This involved searching large areas for tracks and scats of wolf and lynx in the winter snow. Since county board staff cannot find everything, we also rely a lot on getting reports from the public, which we then go out and investigate to be sure what actually went by. All in all, we counted 11,5 family groups of lynx along with one wolf pack and a couple of stationary wolves in the county. Emil shines at a family group of Eurasian lynx in Uppsala county in February 2018. I also did a couple of other wildlife surveys out by the coast and another survey in Uppsala county for Svensk Naturförvaltning AB, a company I have collaborated with since 2010. Field work is often nice and relaxing as I don’t have to think about solving world problems. And maybe the best thing is that you get to see a lot. Out doing field work by the coast, for example, I was lucky enough to spot the elusive Eurasian lynx out in the wild. Amazingly, this cat came up to me while I was sitting in my car, and it began sniffing my left hind tire just a meter and a half away. Earlier the same winter, while out spotting for wildlife, I had also managed to see lynx twice. In one instance, we saw a female with two cubs playing in the snow. These are some of the most amazing nature experiences that I have had. It makes me happy seeing that there is at least a little bit of the wild left in the world. 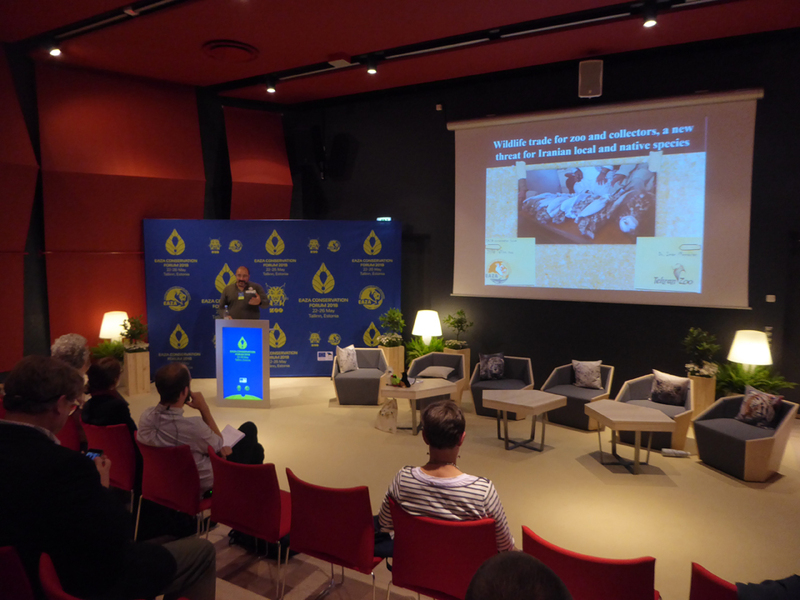 The EAZA Conservation Forum 2018 in Estonia provided a good backbone of talks about biodiversity threats and conservation action. Unfortunately, the situation for the world’s biodiversity is not so positive. Species are declining at an alarming rate and global warming is tightening its grip on the world, making the situation even worse. 2018 was perhaps the driest year in recorded history in Sweden. This caused many wildfires and I came across one day in July while biking through a nature reserve just a kilometer or two from Uppsala. Climate change is having real effects on the world and humanity is at the same time digging its own grave by not changing things today. In general, you can say that in terms of biodiversity conservation, the world is facing two major challenges: overpopulation and our increasing per capita consumption of natural resources. These two combined will summarize most threats biodiversity is facing today. Yet we are going in the wrong direction with both. How can we resolve this crisis? 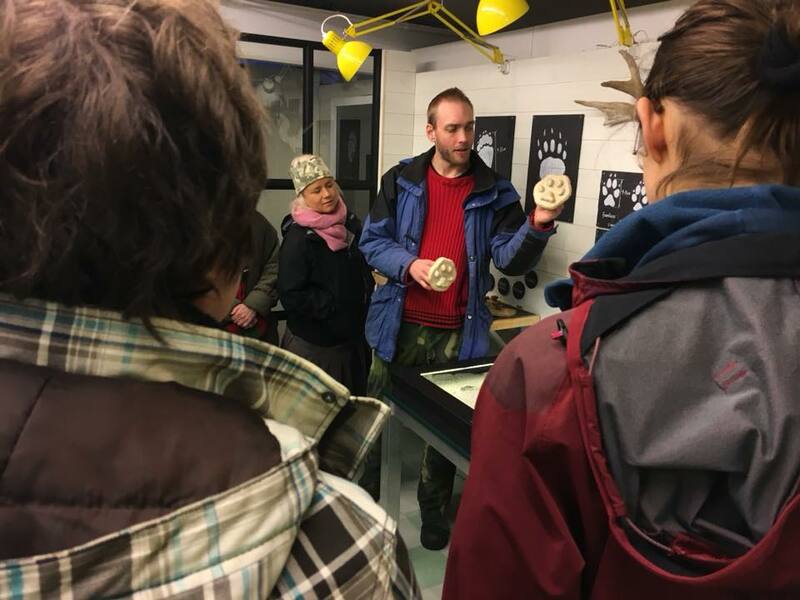 During a visit with the course, Johan Wallén at the Arctic Fox Project at Stockholm University talks arctic foxes and the work they are doing on this species, a species that is to a large degree affected by climate change. I was lucky to get a grant to attend the EAZA Conservation Forum in Estonia in late May. People from across the world talked threats to conservation and conservation work. Inspiring, yet also sad, I came home with about 20 more ideas for various projects. Back home in Sweden, I did some guided tours with beavers in Uppsala. The beaver is an ecosystem engineer that has made its comeback to Sweden in the 20th century after being wiped out. The last beaver was shot in 1871 (it, ironically, got formal protection in 1873). It was reintroduced in the 1920s and is now quite well-spread. It is now having a (mostly) positive effect on the country’s biodiversity. In a cooperative project with the County Board of Värmland, Natur- och faunavårdslinjen at Klarälvdalens folkhögskola censused otters in northern Värmland. Here are tracks we found in the sand one day in November. Other tours I did during the year were one guided lynx tour and a guided wolf tour in the winter and two wildlife safaris during the late summer. In the latter we focused on finding red deer, another species that was almost entirely wiped out earlier due to over-hunting. Beginning in September, I ended up teaching nature conservation for Natur- och faunavårdslinjen at Klarälvdalens folkhögskola in Värmland. Some of the things we did were carnivore tourism, wildlife censusing techniques, biodiversity, threats and conservation, rhetorics, photography, Adobe Photoshop, layout, Adobe Indesign and other things. We also visited various places around Sweden, among them Uppsala (Biotopia, Aspprojektet, the State Veterinary Institute and the Swedish University of Agricultural Sciences) and Stockholm (the Swedish Society for Nature Conservation, Greenpeace, the Arctic Fox Project at Stockholm University, the Swedish parliament and the Museum of Natural History), plus later trips to Nordens Ark, Lovéncentret Kristineberg and Grimsö Wildlife Research Station. 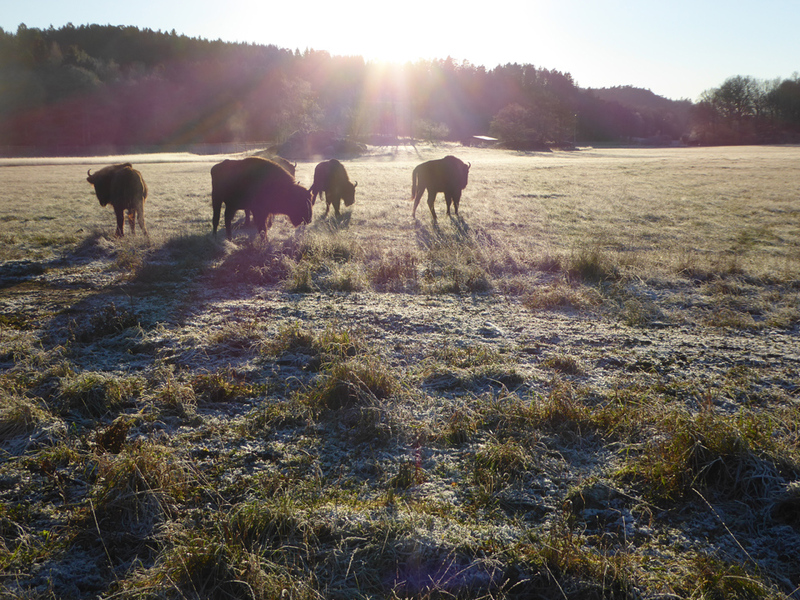 The European bison is another species that has been hunted to extinction in Sweden. Here, Natur- och faunavårdslinjen is visiting the conservation station Nordens Ark on the west coast, talking, among other things, possibilities of reintroducing animals. 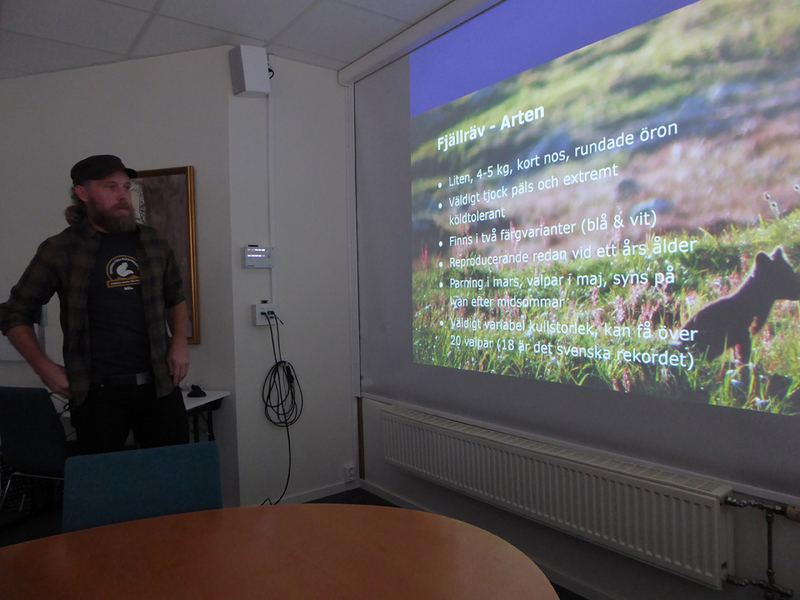 There was not so much time for other work in the fall, but I did hold a talk about freelancing with nature conservation for Uppsala university as well as talked large carnivores at Biotopia one day. So that quickly summarizes what has been an interesting and inspiring year for me. I am looking forward to many new exciting projects now in 2019, as well as hopefully finishing several ongoing projects.